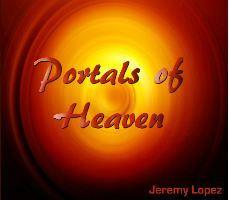 "Portals of Heaven describes Jacobs experience at Bethel and how the only way to enter the sheepfold (heavenlies) is by Christ Jesus (the true ladder). Anything else would make you a thief and a robber. Intercessors need to arise in this hour and open up the gates of the kingdom to the city or region God has given to them in their sphere of influence." from Indonesia to New York.
" I have received two prophetic tapes from Prophet Jeremy. The first one was great and the second one had me crying with joy. I will continue to sow seeds into your ministry because it is awesome.The prophetic word was so accurate." I wanted to take a few moments to say thank you for the personal prophecies you have spoken over my life. To say I was skeptical would be truthful, so I made sure to tell you nothing about myself. The first prophecy you gave explained my digestive health problems, and you gave instruction to help my health and prolong my life. Since then the prophecies have been so accurate for my business I am currently involved with as well as my future plans. The word you sent me confirmed several business plans that I have made, and several I had only dreamed about. you are truly a man of God, and your word of prophecy is a blessing that I am grateful for. When I read Amos 3:7 I think and pray for you Jeremy.